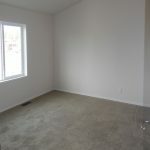 The Springfield model has 1 Bed and 1 Bath. 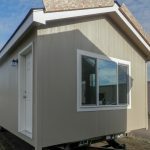 This 546 square foot Single Wide home is available for delivery in Oregon, Washington, Northern California, Northern Idaho. The Springfield would make a great lodge for outdoor enthusiasts who happen to have a patch of wilderness to place it on, but it would also make an equally great addition to any urban community for the metro-dweller. 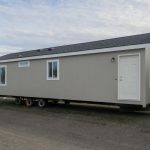 Whether being used for the former or the latter, this home has all the modern conveniences one could hope for in a brand new manufactured home, including a fully equipped kitchen. 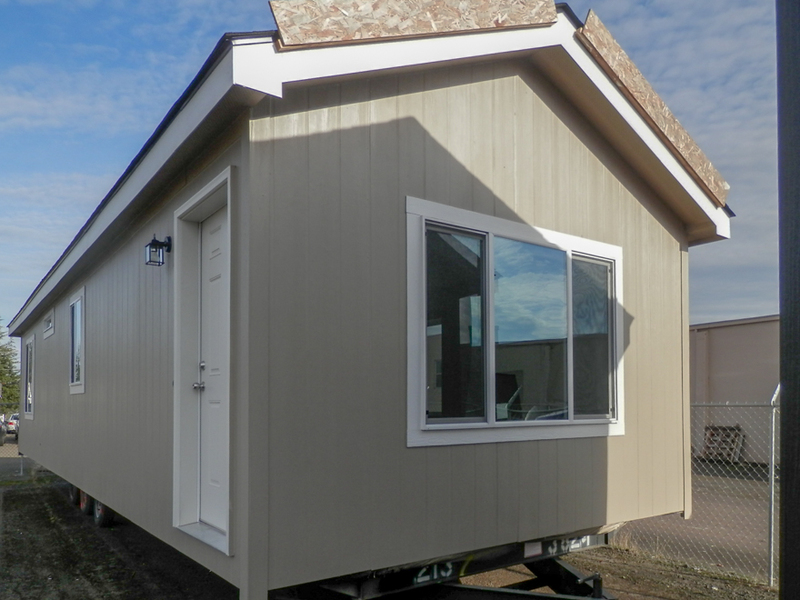 Springfield Front Elavation Shown with Standard Features: Vertical Cement Siding, 30 yr Fiberglass Class A Fire Rated Shingles, Low E Insulated. 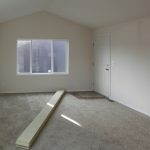 Vinyl Windows & Foundation Ready Frame. Options Shown: On End Wall (Hitch Sid) Upgraded to 78″x52″ Window. Colors Shown: Exterior Body. Tony Taupe, Exterior Trim- Pure White, Shingle Color- Black Onyx. 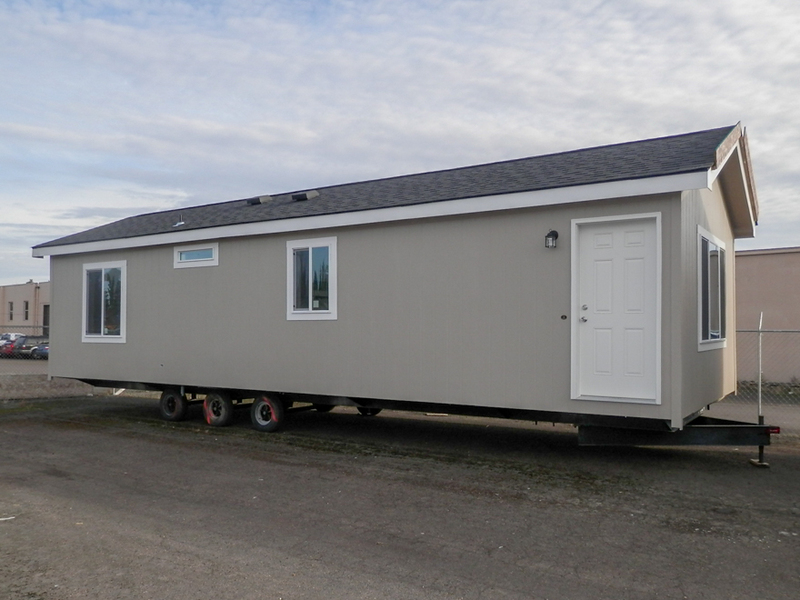 Springfield Front Elavation Shown with Standard Features: Vertical Cement Siding, Low E Insulated Vinyl Windows & Foundation Ready Frame. Options Shown: On End Wall (Hitch Sid) Upgraded to 78″x52″ Window. Colors Shown: Exterior Body- Tony Taupe & Exterior Trim- Pure White. Springfield Kitchen Shown with Standard Features: Hardwood Butternut Shaker Cabinets, Stainless Steel Divided Sink, Formica Counter Tops w/ 6″ Formica Backsplash & Washer/Dryer Hookups. 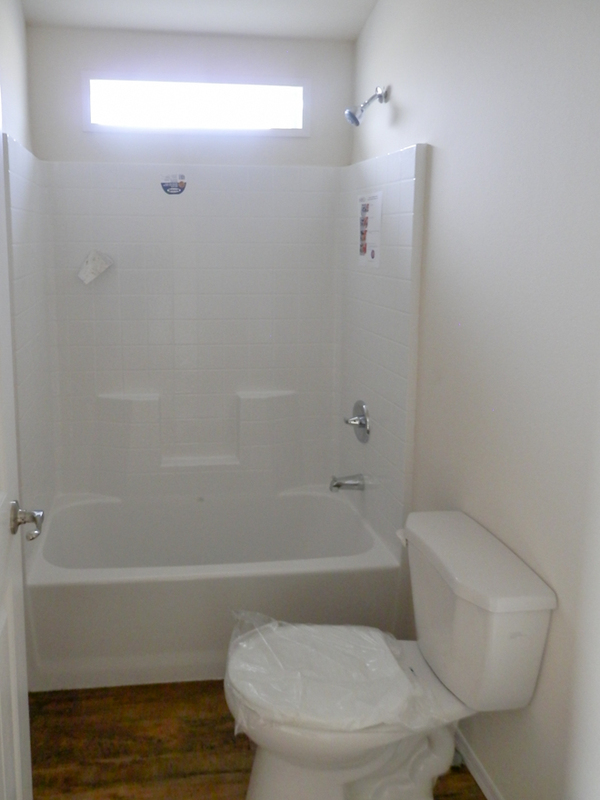 Options Shown: White Whirlpool Appliance Package #2 which includes- 4 Cycle 5-Level Energy. Star Dishwasher, Elecrtric Coil Top Range, 1.6 cu ft 1000 watt Microwave Range Hood & 18 cu. ft. Refrigerator, Dining Room Window Upgraded to 62″x52″ Window. 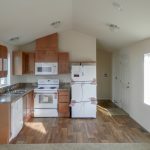 Colors Shown: Moderate White Interior Paint, Hardwood Butternut Shaker Cabinets, Golden Mascarello Counter Tops, Honeytone Linoleum & Shaw Mantra Carpet- Hemp. 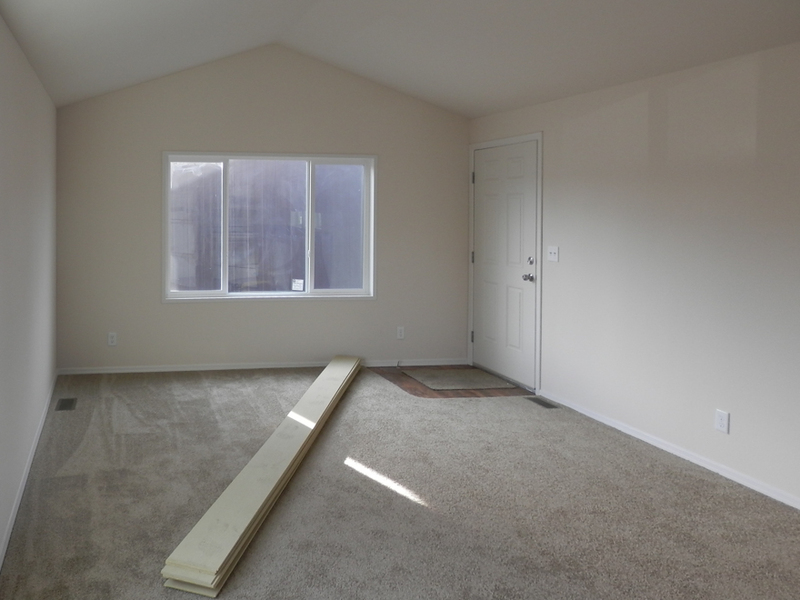 Springfield Living Room shown with Standard Features: 36″ Door & Vaulted Ceilings. 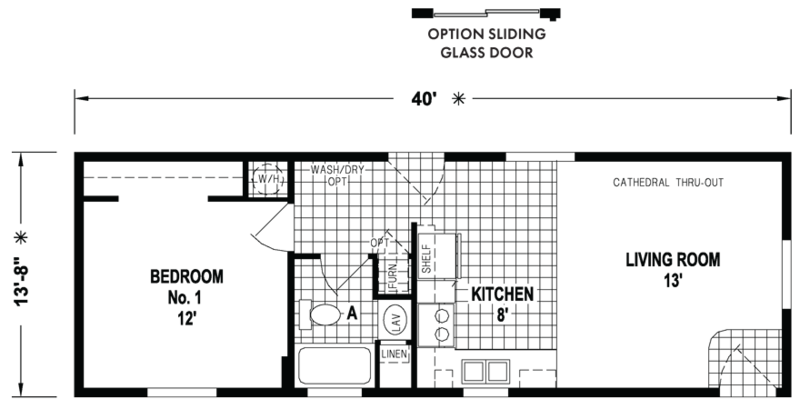 Options Shown: Perimeter Heat Vents & Upgraded 78″x52″ Window. 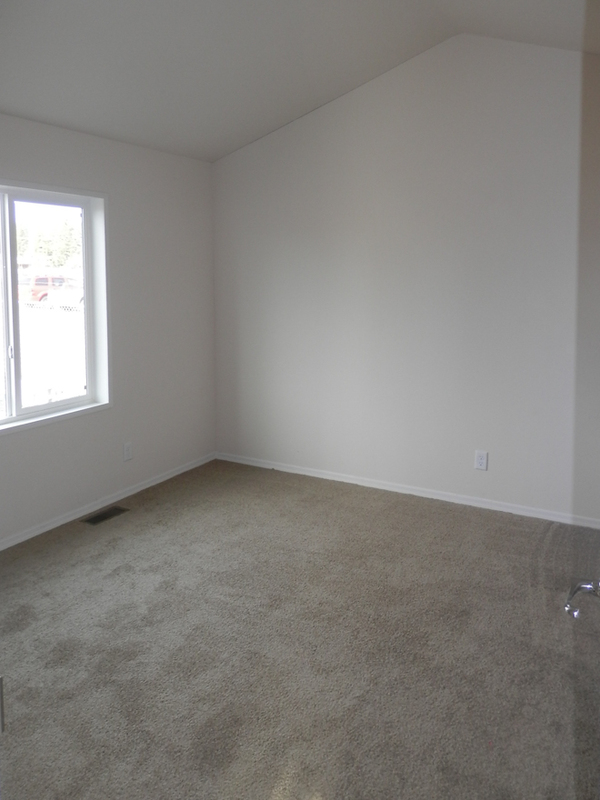 Colors Shown: Moderate White Interior Paint, Honeytone Linoleum & Shaw Mantra Carpet- Hemp. Springfield Bedroom shown with Standard Features: 46″x52″ Window, Shaw Mantra Carpet- Hemp & Brushed Nickel Fixtures. Options Shown: Perimeter Heat Vents. 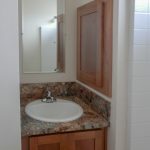 Springfield Bathroom shown with Standard Features: Butternut Shaker Cabinets, Golden Mascarello Formica Counter Top w/ 6″ Formica Backsplash, China Sink w/ Single Lever Faucet & Built-in Cabinet. 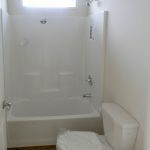 Springfield Bathroom shown with Standard Features: 8″x36″ Window Above Tub/Shower, 1 PC Fiberglass Tub/Shower, Elongated Toilet. 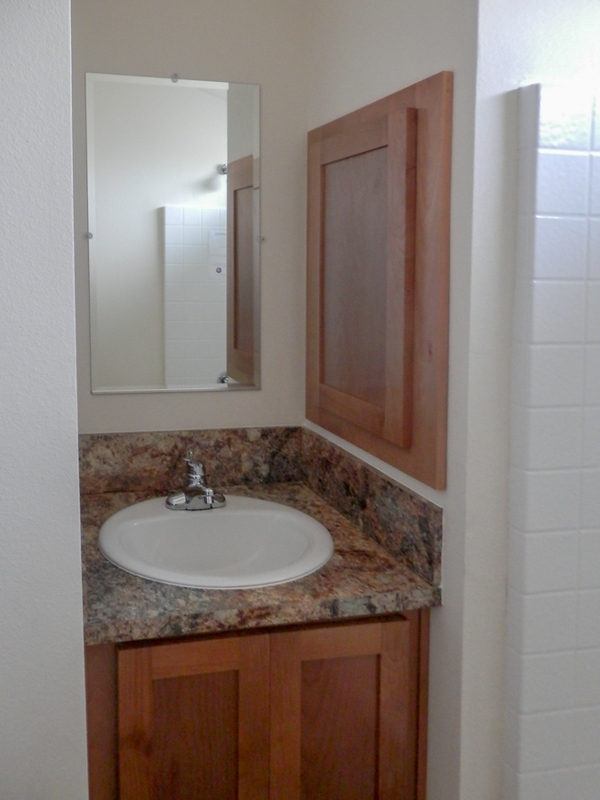 Colors Shown: Honeytone Linoleum & Moderate White Interior Paint. 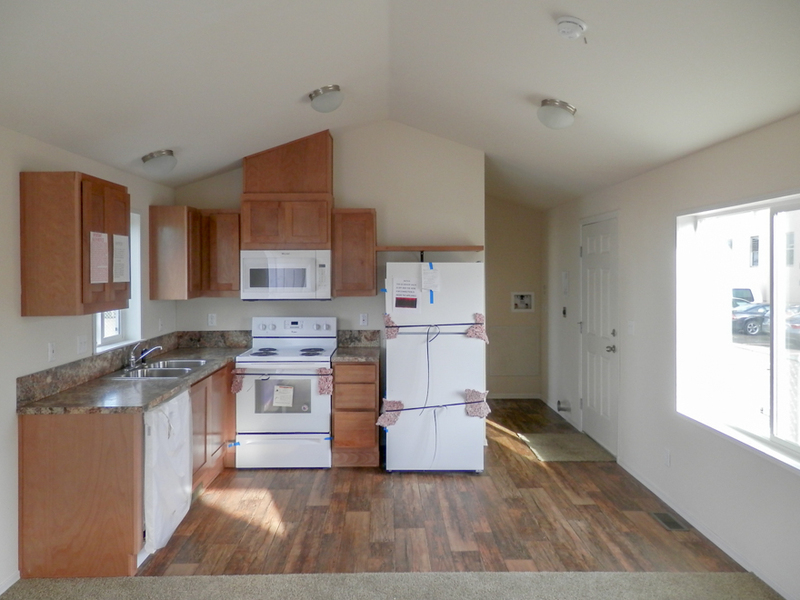 Ask your housing consultant about the other great features that come standard on the Springfield manufactured home.